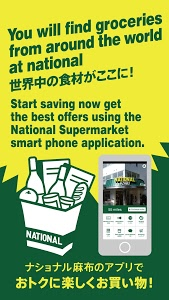 Make shopping more convenient by using the National Azabu app. 1. 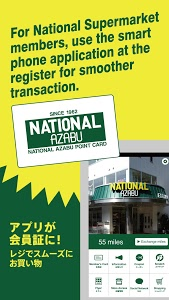 This app is for National Azabu members, which will make your shopping experience go smoother at the register. 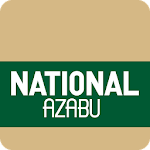 As an National Azabu app member, we offer coupon information which is limited only to customers using this National Azabu app. 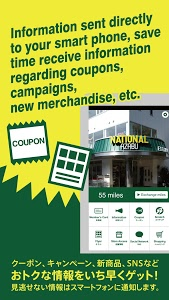 Important information will be sent to via the smartphone app. By phone or fax order, you can deliver to your home, online shop is available. We will announce seasonal events and fair information via SNS. Similar to "National Azabu/Den-en APP"